The Meatless Mondays movement has been spreading like wildfire. Organizations across the country, corporations, schools, celebrities, chefs, and people from all walks of life are embracing the idea of going without meat at least one day a week. I think a single day out of the week is pretty manageable and great for those wanting to make a change in their diets but don’t want to give up the foods they love. I don’t even buy much red meat anymore and have switched to mostly chicken and fish but once in a while I love a great steak. I also know for a fact that I could never give up bacon but definitely like the idea of going vegetarian a few times a month, just as long as it’s full of flavor, filling and easy to make. 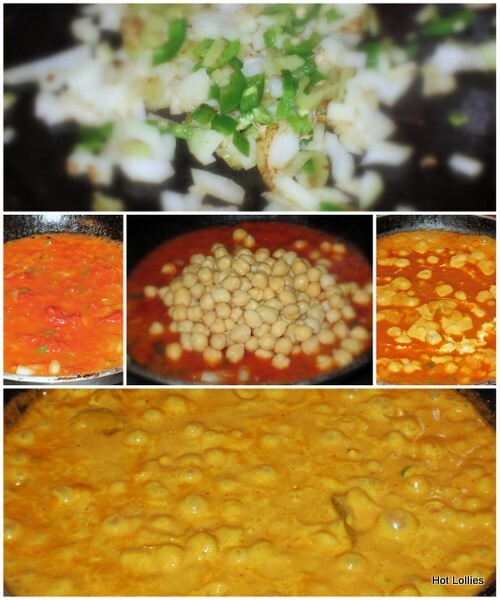 I make this Curry Chickpea dish whenever I don’t have any meat in the freezer. 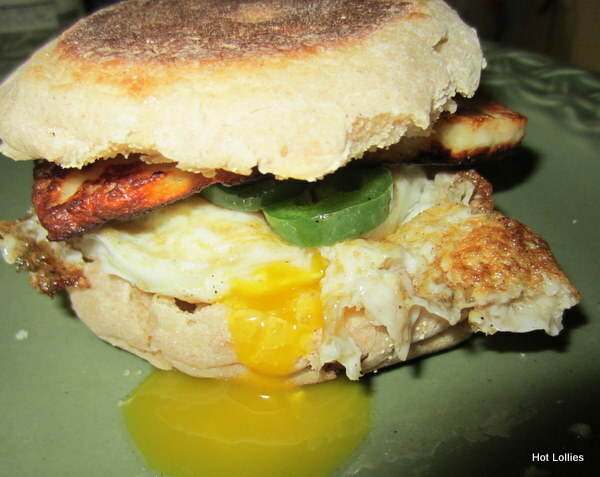 It’s easy to make, hearty and incredibly tasty! I learned how to make this dish from my old college roommate. 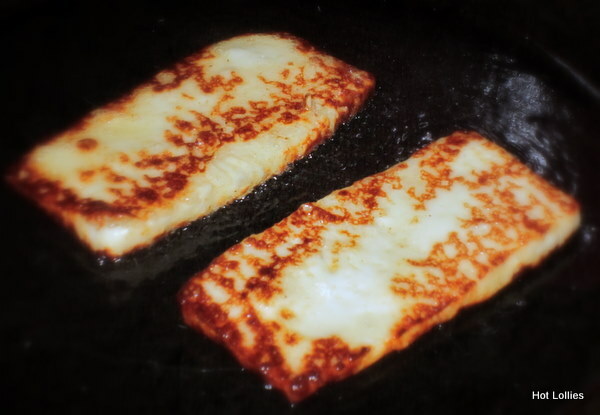 We were always penny pinching back then so loved the idea of having another dish to make on a budget. All you need are a few spices, chickpeas and rice. 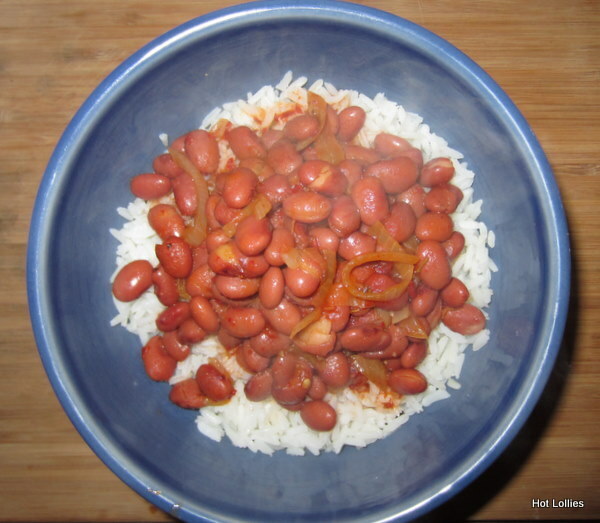 I’ve tweaked this recipe over the years now that I can afford to buy as many spices as I want but when I made this back then it was pretty basic. I would use milk instead of cream, tomatoes if I didn’t have tomato paste or use a combination of both. For me, the ginger, chiles and cilantro give this curry such a bold flavor. It’s a definite hit in my book. 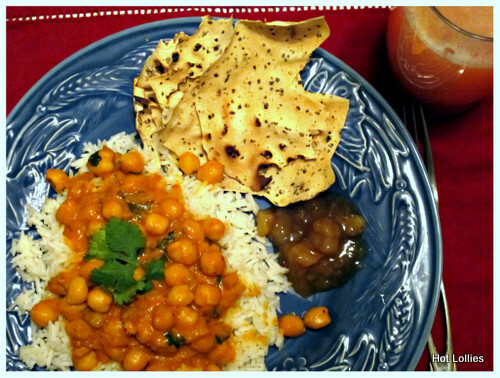 I balance out the meal by serving the curry chickpeas over basmati rice, with a side of mango chutney and roasted papad. Papad is a thin Indian crisp and can be purchased from an Indian grocery store or marketplace. You can have it before your meal as an appetizer or just have it with a bit of chutney as a snack. 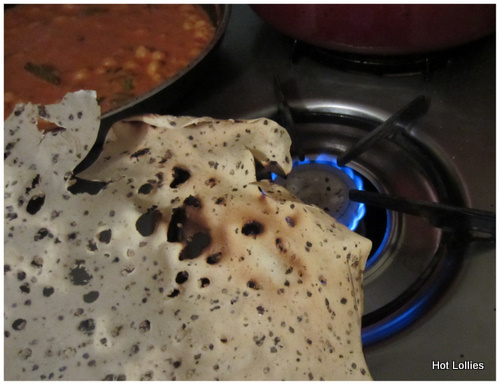 The papads are roasted on stove top similar to how you would roast peppers. It’s such a flavorful meal that you’ll forget you’re not eating meat! 1. Saute the onions in olive oil on medium heat until translucent. Add the jalapenos, coriander, chili powder, curry powder, ginger, bay leaves and salt and stir. Mix in the tomato paste and water to form a thick sauce. 2. Add the chickpeas, stir and then add the fresh cilantro and cream and stir some more. Lower heat and let beans cook for about 8-10 minutes. Add a bit more water if too dry and adjust the salt to taste. 1. While chickpeas are cooking, boil 2 cups of water on high heat in a separate pot and add 1 tsp of salt and 1 tbsp of olive oil. 2. Add 1 cup of rinsed basmati rice and stir. Let most of water boil off, turn heat down to low and cover pot. Let rice cook for about 15-20 minutes until light and fluffy. 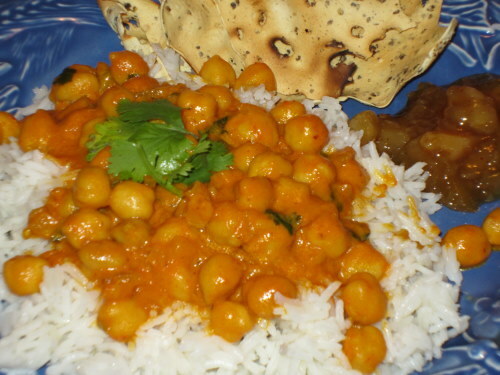 When done, serve the curry chickpeas over rice and serve with a side salad, papad and mango chutney.